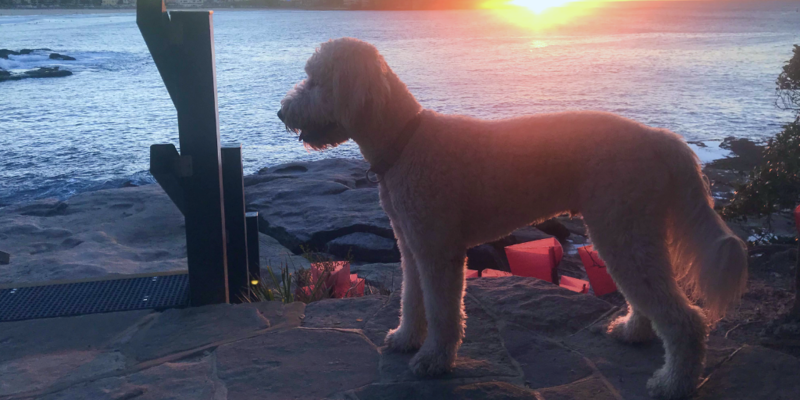 When is it too hot to go for a walk with my dog? Can my dog overheat when the temperature is over 30C? How to exercise my dog when it’s hot? 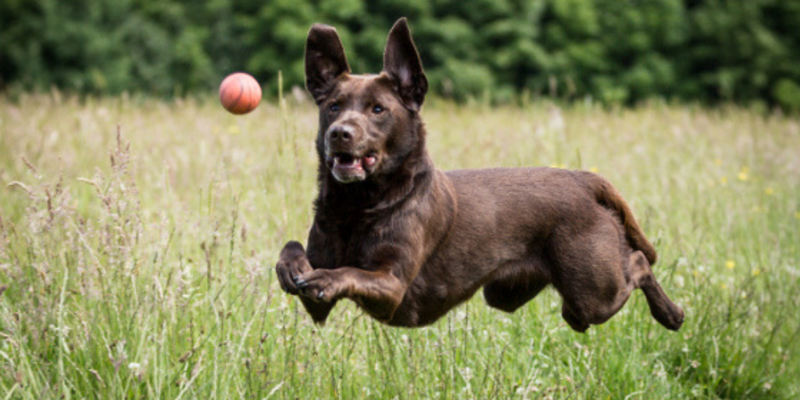 According to veterinary advice, it is absolutely fine to exercise your dog even during warmer summer days, however you have to be more cautious on not to overheat your dog. 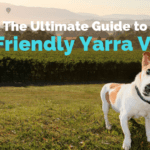 We have put together the list of things you need to know about exercising your dog on a hot day and of course some great ideas on alternative activities. 1. Know the signs of overheating! Dogs relieve heat by panting. While not as efficient as sweating, panting works well if your dog has the chance to breathe relatively normally. Monitor the sound of breathing. If you hear harsher sounds (louder breathing, coughing or wheezing) your dog is struggling to get enough oxygen. Your dog’s gums are a great indicator of how they are handling the heat. If they are pink, they are getting enough oxygen and everything is just fine. If you see them going more pale pink, give your dog some water and have a break. If you see red mucous membranes this is indicative of heat stroke. This means it is time to stop right away and take your dog to an emergency hospital. Other colours also indicative of an emergency are blue, grey, and white. Finally, monitor your dog at all times during the exercise. If there’s a change in his or her gait in any way or he or she is slowing their pace, even a little bit it is time to have a break. 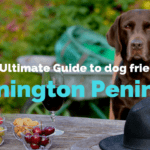 Your dog is going to want to please you and might not understand to slow down on time. 2. Exercise early morning or late afternoon and take enough breaks! This is not only important for your dog but also a great way to kick you out of the bed! Avoid that scorching midday sun and try to get out and about early in the morning and later in the afternoon. 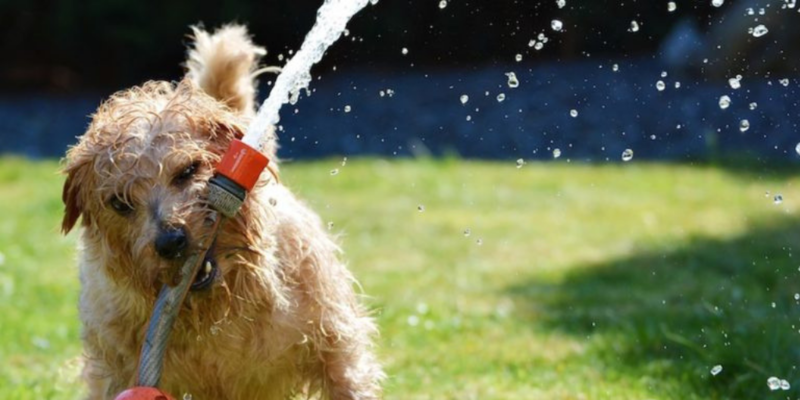 If your dog is expressing any signs of overheating, give him some water and stop the exercise. 3. Carry water with you at all times! As simple as it may sound, make sure you don’t leave the house without water or access to it at all times. Overheating happens fast and you won’t have time to start looking for water when your dog overheats. Carrying some water for yourself might not be a bad idea either! 4. 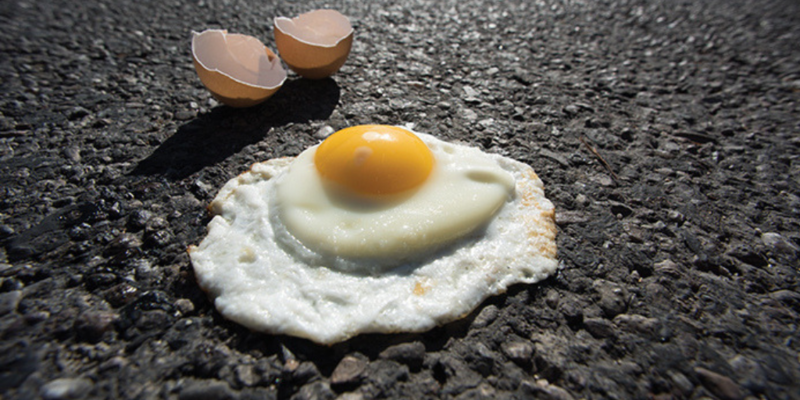 Be mindful of hot surfaces! Unlike you, your dog doesn’t have shoes. Concrete, asphalt, stone and sand surfaces might get too hot for your dog to walk. Good test is for you to take off your shoes (or use your palm) and if the surface is too hot for you, it will be too hot for your dog as well. Don’t fry those little paws! 5. 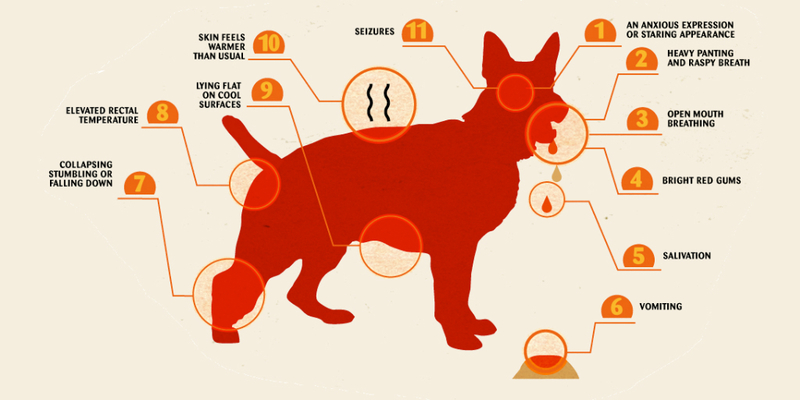 Be extra cautious with breeds sensitive to heat! 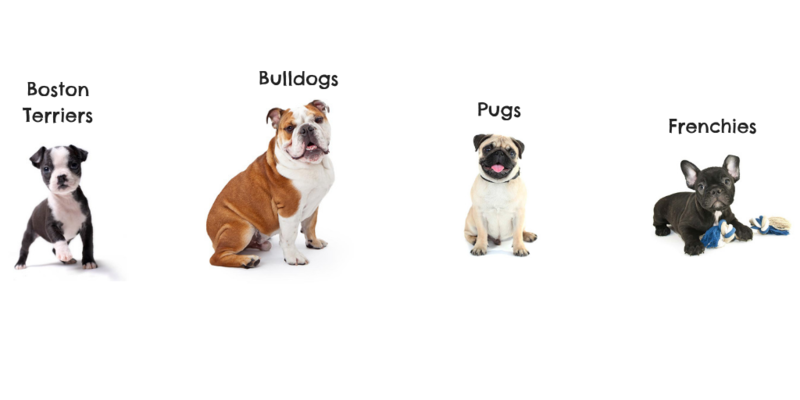 Frenchies, Pugs, Bulldogs, Boston Terriers… many dogs with more flat nose will have trouble breathing much faster than other breeds. 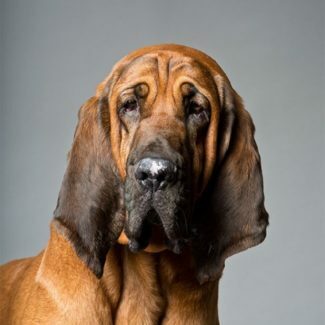 Also be mindful of older dogs or if your dog is overweight. They will feel the heat much faster than others. 6. Give indoor exercise a go! Although physical activity might be a little more limited indoors, mental activities consume plenty of energy as well. Play hide and seek, ask you dog to find hidden toys or treats or organise a playdate with your dogs best mate. 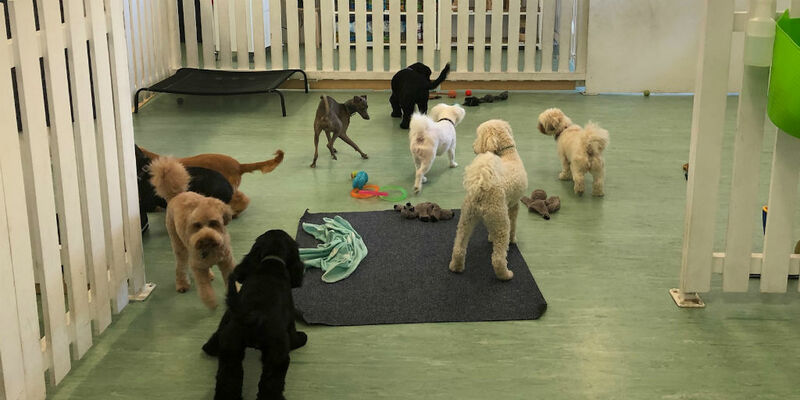 You could even take your dog to a doggie day care centre such as Darlo Dogs for a social activity with other pups in an air-conditioned indoor environment. 7. Cool down your dog! Make sure your dog drinks enough water. A great way to avoid dehydration is to freeze some chicken broth into pupcicles. Your dog is guaranteed to love crunching through those icy treats. Hosing your dog with cold water is also very efficient. Just remember to hose him from bottom up. Your dog cools down through the belly and paws. You could also offer your dog a cold towel to lie on. 8. Play in or with water! 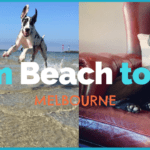 Going to the dog beach is a great way to cool down and have fun with the entire family. Have a splash in the water and find some shade to chill out afterwards. Don’t over do the ball or stick fetching from the water though. 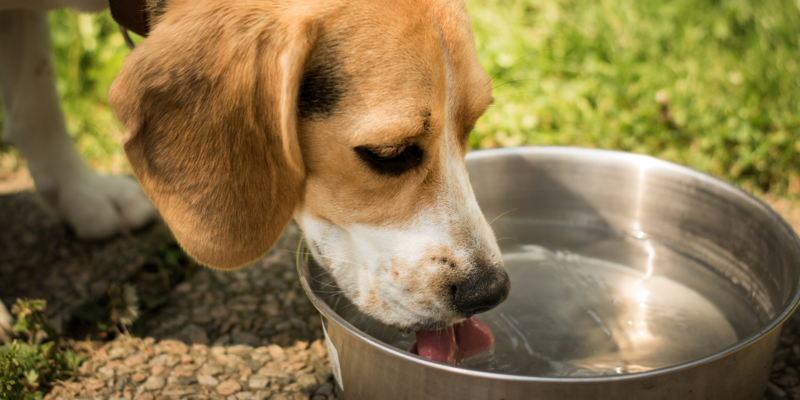 Dogs can have serious consequences from water intoxication. 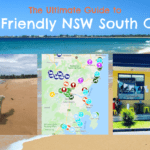 Find the list of ALL dog friendly beaches in NSW and VIC and many dog friendly pubs & bars to go for an after swim drink! 9. 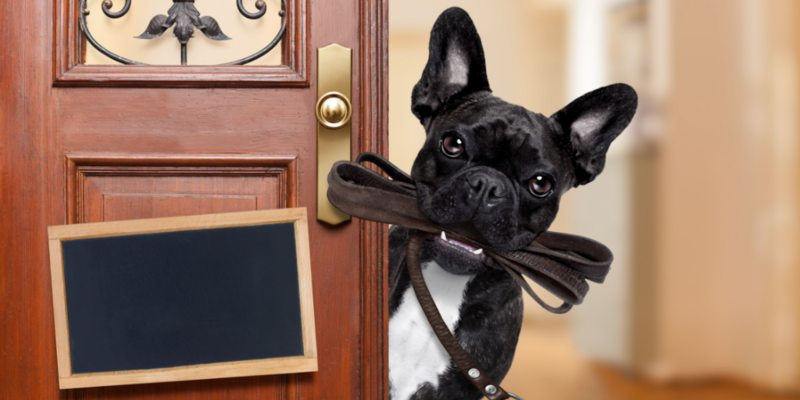 Let your dog take the lead! Listen to your dog. If he/she show signs of not wanting to go out or lay down in the shade during the walk, it is his/her way of telling you it is not the right time to go and exercise. Our furry friends are very keen to please us so look actively for the signs and let them take the lead on a hot day. Keep the exercise fun and short. If you dog likes to play fetch, don’t over do it. Couple of throws and a break is more appropriate than a 10-15 maximum performance. In particularly, retrievers and working dogs have sometimes hard time to know when to stop the play so make sure you give them enough time to rest and provide water. 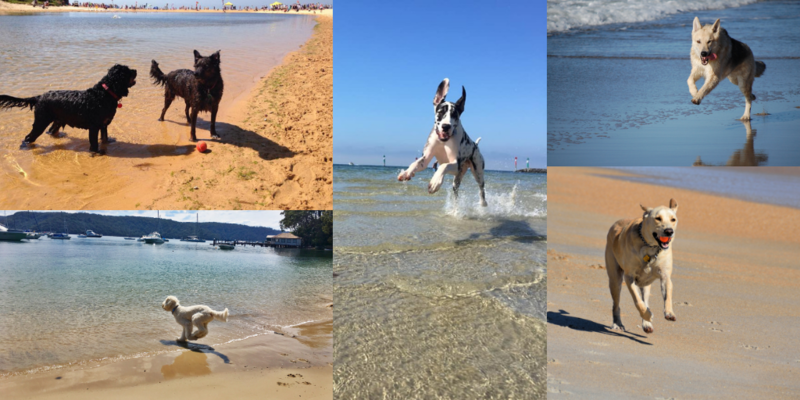 Be mindful of the weather, follow the signals your dog is sending and you can have heaps of fun even during those warmer summer days! Weekly Viral Dogs – Funniest Dog Videos on Planet Earth and Beyond!